The undercard to Ruslan Chagaev vs Fres Oquendo in Grozny (Russia) July 6 features former WBC cruiserweight champion and heavyweight contender Juan Carlos Gomez (54-3). Gomez is now back to cruiser and is again trained by Fritz Sdunek, who trained the Black Panther in his early days with Universum. Also on the bill is heavyweight Edmund Gerber (pictured) who was last seen last year losing to Dereck Chisora in an EBU title fight and then retired but is now back. 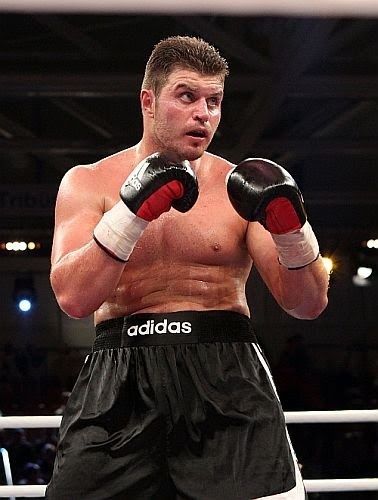 Gerber (24-2) was with Sauerland Event from his prodebut back in 2007 and looked pretty good but appeared to lose spirit when the level of opponents got tougher. The show is promoted by TEREK Box Event headed by Timur Dugazaev and with strong support from the local government.